Designated TSA-friendly laptop-only section with side entry holds up to 17” laptops. 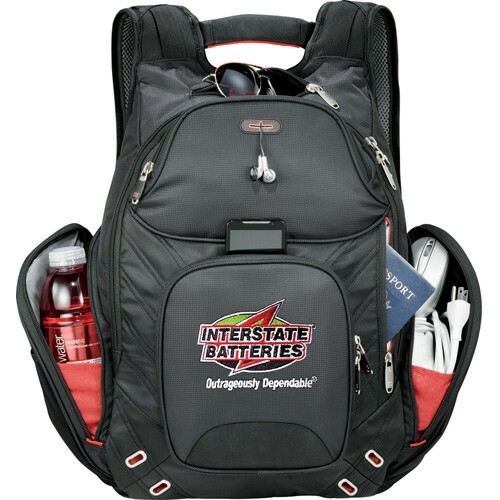 Spacious main zippered compartment with multiple pockets, a dedicated padded iPad/tablet pocket and removable TechTrap iPad/tablet case and stand. 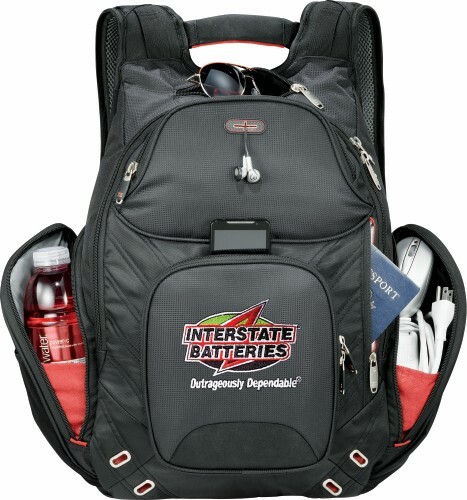 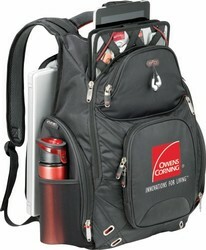 Front zippered pocket with organization, side pocket with attached ID window tag. Bottle opener/key fob on strap. 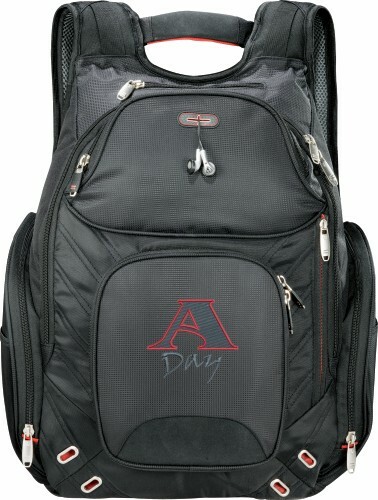 Padded back and compression shoulder straps and adjustable chest strap. Valuables pocket and easy-access pocket for tickets. PEVA insulated side pocket with exterior mesh pocket Media pocket with earbud port, trolley pass-through.